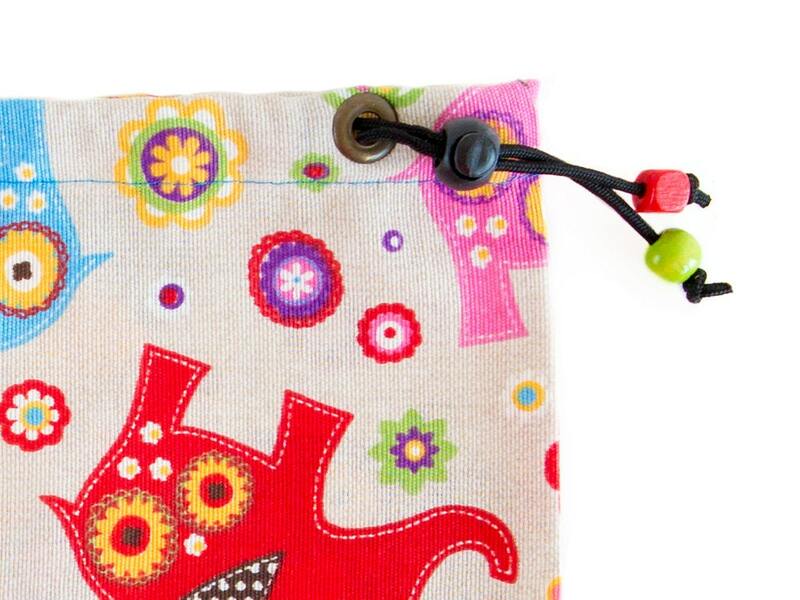 Handmade reusable bag. 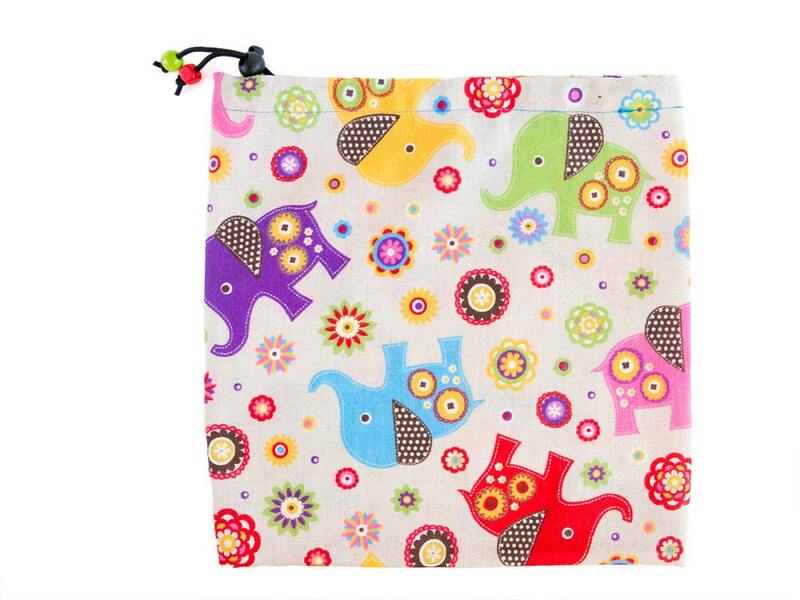 This rock climbing shoe bag is with a drawstring pouch design (eco friendly bag) with colorful elephants. 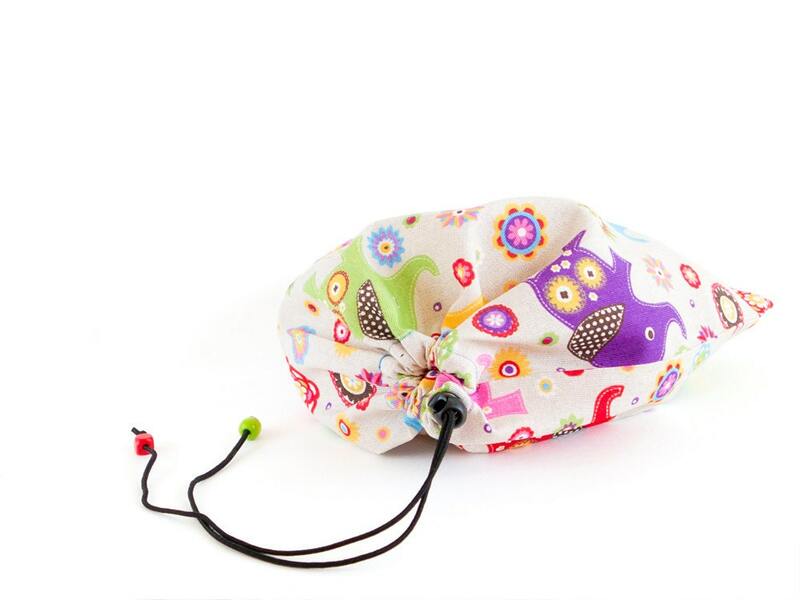 Every rock climber will love it, because it is sewn of durable fabric and is with a high quality paracord rope for fastening. 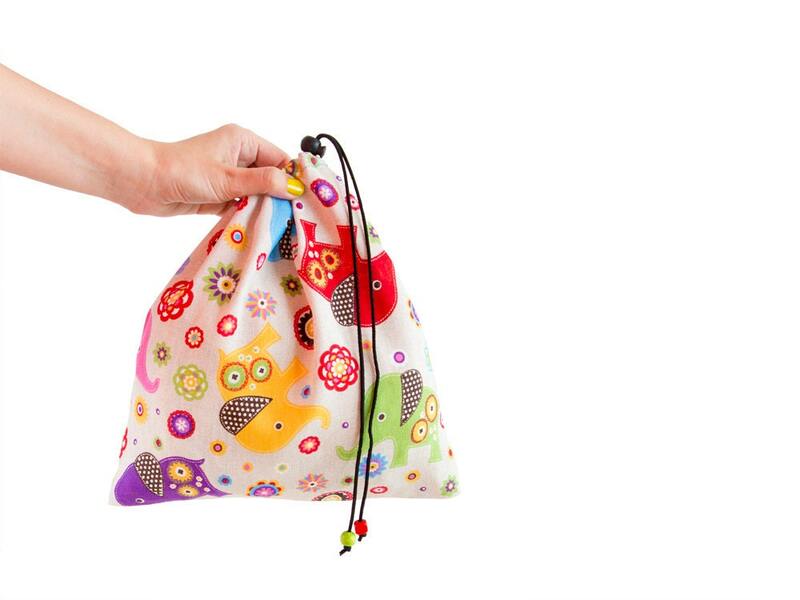 Size: H 30 cm (11 13/16") , W 29 cm (11 7/16"). Its weight is 41 grams (1.44 oz). 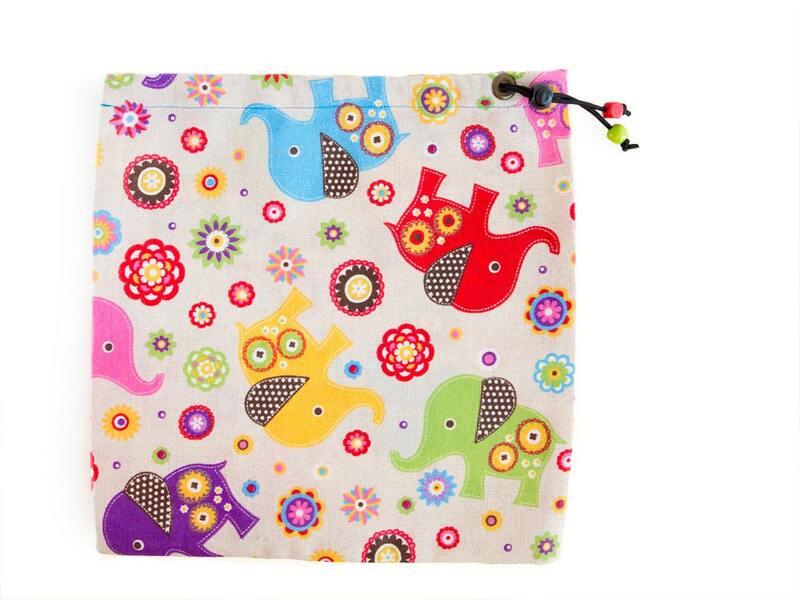 If you order, you will get the reusable bag with elephants from the pictures.